Everyone is in pursuit of the good life, everyone is in pursuit of the appealing lifestyle that is portrayed in marketing, ads, and media. We see the stuff that others have and we think, ah, that’s the good life. We see the travel and leisure or free time that the wealthy enjoy and we think, ah, that’s the good life. We see the abilities and skills of those more talented than us and we think ah, that’s the good life.But people with talent, money, leisure, money- they aren’t experiencing the good life. Instead they are still in search for the good life. We will never find the good life in stuff, money, leisure, or ability. the good life is based upon what we can give. All the money in the world would not meet the need Matthew had. He was searching for something more. Matthew was searching for what we are all searching for, meaning. When Jesus said, follow me, He left all and followed Him. Why? God wants you to be in a place where you have money in your pocket ready to give to a need, ready to be generous with. It’s difficult to be faithful in giving when you’re struggling to make a living.This message covers basic money issues that reoccur in scripture so that nothing hinders your giving but also so that you’re able to pay for next vacation in cash and when you’re car breaks down you don’t have to borrow money from your parents to fix it. Our giving plants a seed of generosity that produces a harvest of gratitude. 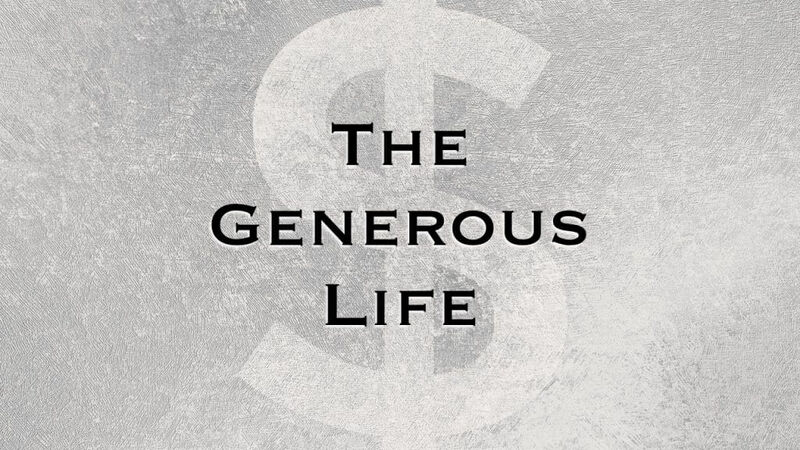 When we are generous God gets the glory in our lives and in the lives of those who are blessed by the gift. Our giving gives God glory. If you love money and stuff you’ll use people to get more. If you love people you’ll use money and stuff to help others. Jesus took this a step further. Jesus said if you love God you’ll use money to help others long term, as in forever.